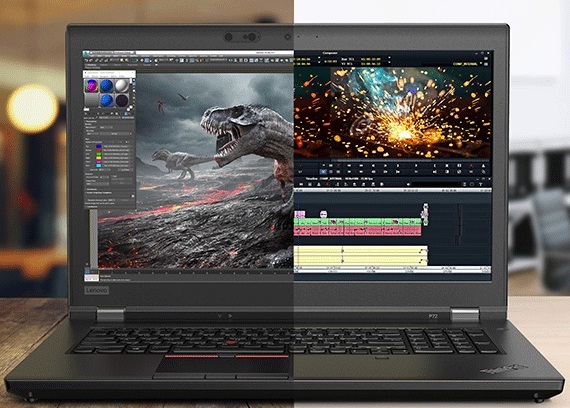 Lenovo has recently launched two high-end workstation laptops and they are Lenovo ThinkPad P1 and P72. They comes with different variants like Core or Xeon processor optional with 8th Generation chipset. If you are interested to know more detail of Lenovo ThinkPad P72 laptop key features, technical specifications, price, review excluding its first impression, hands-on review and comparison etc. then you would find them over here. The most features packed laptop from Lenovo brand comes with the price ranges of above one lakh twenty thousand rupees roughly. One of the best laptops for corporate world. The subject laptop is powered by Intel Core i7 or Xeon processor variants as an optional for the end users. They are 8th Gen chipset and paired with 32GB of RAM onward, optional available on this. Lenovo ThinkPad P72 runs with the Windows 10 Pro operating system or Ubuntu Linux (pre-load) or Redhat Linux (certified) OS. The internal memory size vary as per the end user's choice. The gadget has the features of visual computing to new heights from complex simulations and deep learning to the new worlds of virtual reality. This is 17.3 inches FHD and IPS display screen laptop. You may find other specs, features and price detail below. Tips: The subject high-end laptop is for corporate or workstation or for heavy usage. You can buy and use it for personal purpose as well.